Cat at Heart by Tanya: A Perfect Accessory. Hello! Happy Sunday! Hope everyone's having a good day. I wish it would be Sunday forever so I don't have to face my growing pile of homework. In the meanwhile, I'll be writing this blogpost! NOTE: This blogpost would be mostly directed at iPhone 4/4S users so I apologise in advance if you personally don't have an iPhone. I wish I had an iPhone everytime I see cute cases! I've had my same black and white phone case for quite sometime now, but you seriously make me want all of those cases. 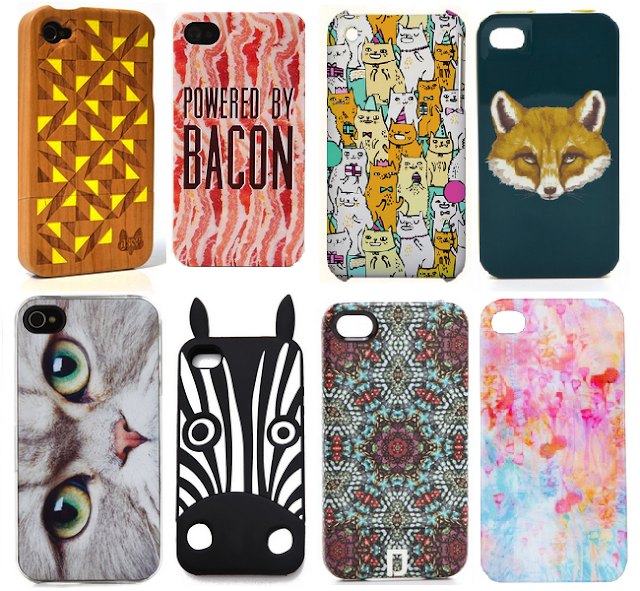 don't have an iPhone but they're so pretty I want to own them all anyway! i don't have an iphone but my sister is obsessed with buying them!